Italian company, Clever, manufacture a range of furniture compositions which provide customizable study areas for kids and teens’ bedrooms. 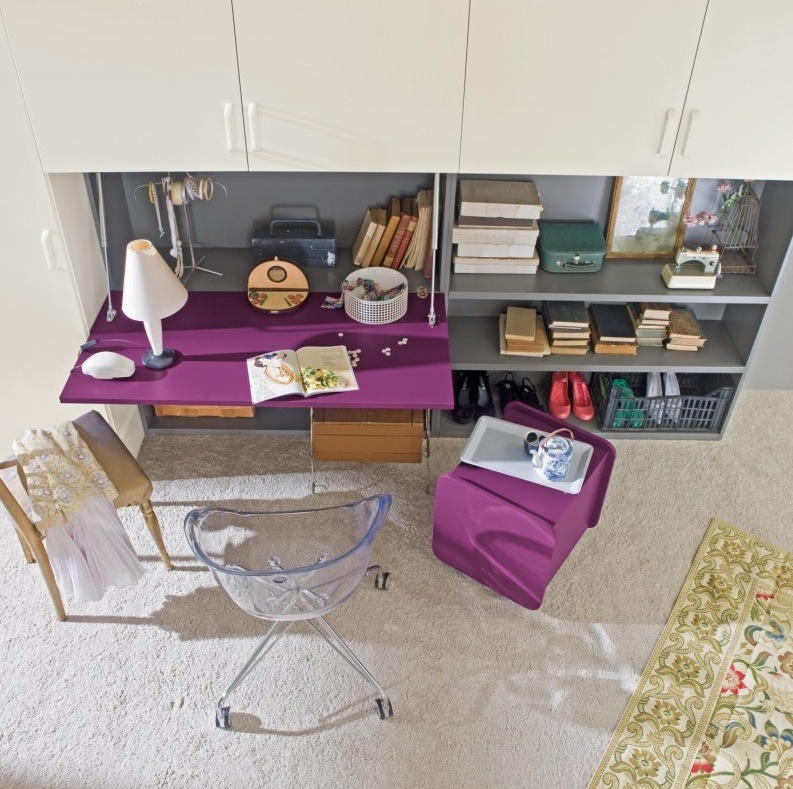 Offering a vast range of desks, chairs, bespoke shelving and storage units, your young genius will be certain to have somewhere beautiful to study. 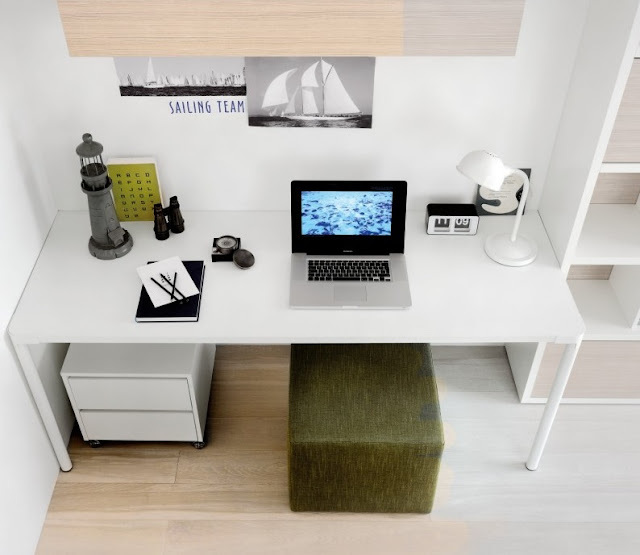 Coordinating the desk with shelves and bedside cabinets gives a cohesive look to the room. Drawers on castors roll out to create more surface area for books and well-deserved snacks on study breaks. Pops of color make your child’s space a fun place to be, and could even help stimulate their brain cells! If you are timesharing a workspace between siblings of different ages, or trying to keep up with a growing child, a wall mounted desktop on a shelving bracket system is a great idea, providing a surface that is completely height adjustable. For those of you who keep an eye on your children whilst they work, whether to marvel at their brilliance or to give a waking nudge, a fold away desktop could create a tidy solution in a communal area of your home. Be sure to add a splash of your kids’ personality to their study spaces, with smart accessories such as neat storage boxes or a desk lamp, whether quirky, pretty or contemporary. With furniture solutions as ‘Clever’ as this, you might forget to ask the kids what they want!